This American reality television series premiered on the Discovery Channel on February 28, 2018. 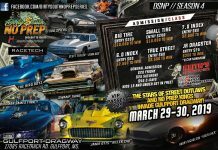 It features drivers from all across the nation including drivers from the OKC, NOLA, and Memphis Street Outlaw series. Street Outlaws No Prep Kings had Chuck Seitsinger from the 405 as the first race master in Season 1. In Season 2 of this series, Boosted GT joined Chuck in the race master role as the no prep racer took on a variety of tracks across the country. 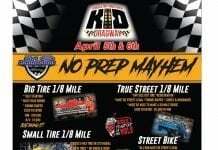 A no prep race is similar to the average drag race but without the pre-race preparation. Typically, a track has all of the tire rubber removed first and then rinsed, brushed, and dried. These tracks do not have traction compounds such as PJ1 Trackbite or other chemicals to provide grip. The lack of these chemicals make for some wild races. 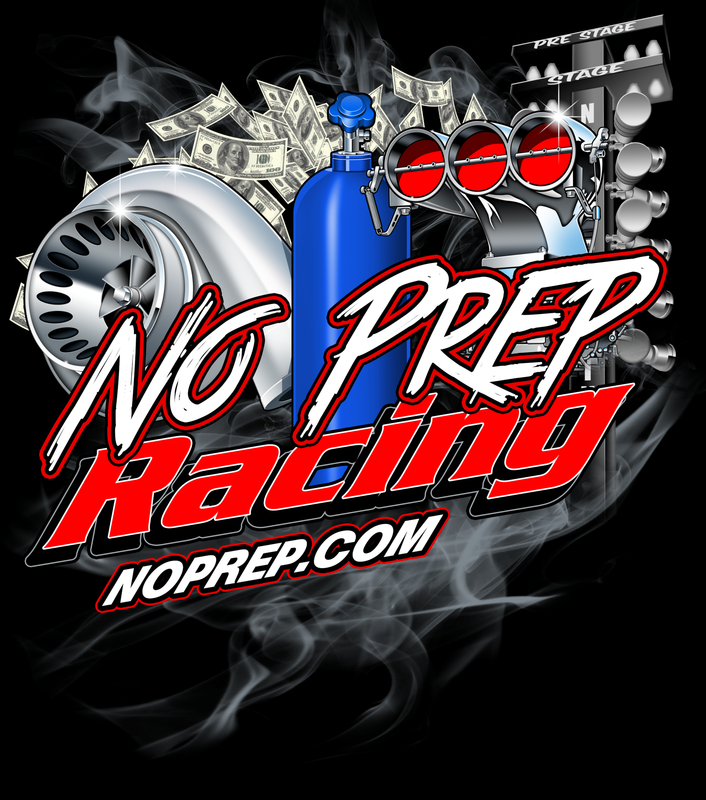 No prep racing is considered by many to be the dirtiest challenge in the world of street racing. It also is considered to be the only way to enable racers to demonstrate they can be competitive on a public road. 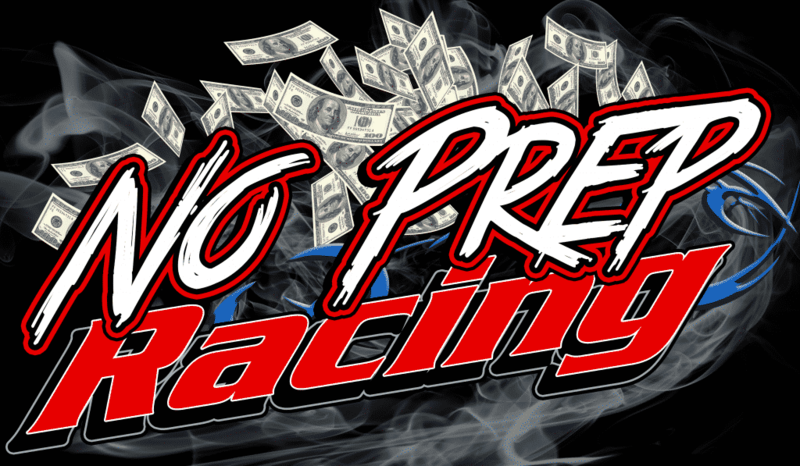 The top 32 no prep racers in the nation compete for cash and other prizes while traveling across the United States. The rules for no prep are simple but require the mindset of every man for himself. For more information about the Street Outlaws No Prep Kings rule, check out this website. Street Outlaws: No Prep Kings is produced for the Discovery Channel by the Pilgrim Media Group. The executive producers for this series include Craig Piligian, Sam Korkis, Craig Coffman, and Todd Lefkowitz. The producer is Sydney Clover while Lindsay Malinchak is the coordinating producer. Season One premiered on February 27, 2018. The winner of the first season was Jerry ‘Birdman’ Finney in Tulsa, Oklahoma. He started the race five points down from Ryan Martin. This season had seven stops including Tennessee, Kentucky, Texas, Arizona, South Carolina, and Oklahoma. Season 2 ended with Mike Murillo winning the championship by 10 points at the Texas Motorplex in Ennis, Texas. 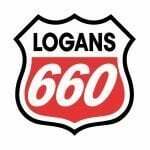 This season of Street Outlaws had a total of nine events starting at Heartland Park Topeka in Topeka, Kansas. This season had stops in Tennessee, Pennsylvania, Arizona, North Carolina, Illinois, Colorado, Ohio, and the final in Texas. Chuck Seitsinger– Known as one of the racing veterans on the show, Chuck started racing as soon as he was legally able to drive. He has two children and operates a repair shop called Advanced Motorsports. He drives ‘Death Trap’ which is a 1989 Ford Fox Body Mustang with a 429 cubic inch small block Chevy SBC motor. This big tire car comes with twin turbos. Birdman– When you ask the other drivers whom you should beat, the Houston, Texas native, James ‘Birdman’ Finney is at the top of the list. He has been part of the racing scene for over 25 years and has made a fortune. His twin turbo, HEMI-powered 99 Firebird Trans Am is one of the fastest cars on the list. Ryan Martin– Ryan is still considered a newbie to the 405 list even though he has a reputation for being one of the fastest drivers. He is a co-owner of B&R Performance, so he has helped a variety of the other drivers. He drives a twin turbo 2010 5th Gen Camaro SS called Firebird. Jeff Lutz– Jeff Lutz was known on Street Outlaws OKC for his 1969 Chevy Camaro named Mad Max with twin turbo pistons. In September 2017, he debuted his bright yellow 1957 Chevy 540 big block and had become a racer to be reckoned with. Kye Kelley– Hailing from Mississippi, many experts would say that Kye’s 1992 Chevy Camaro Promod is the fastest street raced car in the United States. The Shocker comes equipped with a 638ci BBC motor and two nitrous kits. He stars on the Street Outlaw: New Orleans series and has had success in beating the 405 guys with this car. James Goad– James Goad’s car ‘The Reaper’ was a fixture on the 405 list until a few bad seasons. Known as a veteran of OKC street racing, he introduced his new car in December of 2017. This brand new car is a procharged Camaro with 4000 HP and 634-inch motor called Deez Nuts. Monza– Jerry Johnston can be called the tallest street racer at 6’4”. Known as a quiet man, Monza still holds his own when someone chooses to mouth off. His Sinister Split Bumper is a 1972 Camaro Rally Sport with a 598 cubic inch big block Chevy engine. It is equipped with two nitrous foggers. Daddy Dave– Over the years, David Comstock has been known as the ‘King of the Streets’ for his excellent racing record with a 1996 GMC Sonoma S10 pickup. The owner of the Sonoma, Jackie Knox and Dave parted ways a few years back. After building his car called Goliath in 2015, Daddy Dave experienced a horrific accident in Amarillo, Texas that almost left him paralyzed. With strong determination and grit, Daddy Dave began racing only a few short months later. Farmtruck– One-half of most popular dynamic duo, Sean Whitley is known for the 1970 Chevy long bed truck he races. The camper shell is full of dents, and the paint is rusty, but this vehicle is a fully equipped racing sleeper. Farmtruck with AZN hosts the No Prep Daily Drivers races which allow everyday people to race in their everyday car. AZN– Jeff Bennett is the other half of the dynamic duo. He drives a 1966 VW bug which is called the Dung Beetle. He is also a co-host of the No Prep Daily Drivers races. With Farmtruck, AZN coaxes unknowing drivers into racing the deceptively fast Chevy for cash. Dominator– Joe Woods has been in the automotive world since birth. A 1956 Chevy was his first car at age 13. This car began his love for muscle cars. His car on this series is a 1967 Dodge Dart. This big block Chevy engine car, Dominator, was built by Woods from the chassis up. This car is considered to be one of the fastest. Shawn Wilhoit– Shawn is Birdman’s sidekick. Both of these drivers come from Texas and typically travel the circuit together. Shawn’s car called the Mistress is one of the top competitors for the other drivers which has created a great rivalry. The Mistress is a 1967 Camaro with twin-turbos and a 540 cubic inch engine. Scott Taylor– Scott Taylor is a member of the New Orleans team. He owns a towing company in Hattiesburg, MS. He is known for his 1992 Cutlass with 752 BBC and single NX nitrous kit named John Doe. 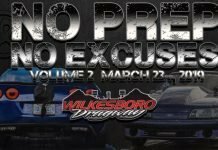 When he entered the No Prep series, he introduced Track Doe which is a 1998 Firebird with 752 BBC and single NX nitrous kit. He was Season One’s take over Boddie’s Beyond 1320 race winner and won $35,000. Boosted GT– In Season 2 of No Prep Kings, Chris Hamilton became a co-host with Chuck. Boosted GT is known as a veteran on the 405 team but took some time off to build a new, faster car. Chris’s car is called Boosted GT and is a 2005 Ford Mustang. It is a 400 cubic inch small block Ford. Doc– Doc is as known as James Love who is an intimidating racer from the 405. He held the number one spot on OKC’s list multiple times and is a fan favorite. He currently races a 1970 Chevy Monte Carlo named ‘The Street Beast’ which has a 706 ci big block Chevy engine and turbo 400 Ace racing transmission. This car is equipped with three Monte Smith nitrous kits. Bobby Ducote– Even though he is known as Kye Kelley’s best friend, Bobby Ducote has made a name for himself with his car ‘Little Legend.’ He makes a living as a generation specialist but has been racing since 15. Little Legend is a 1971 Ford Maverick which has 2300 HP and nitrous. Barry Nicholson– Known for his time on the New Orlean series, Barry Nicholson is making a reputation for himself on the No Prep racetracks, also. Recently, Barry Nicholson’s car ‘The Godfather’ suffered damage in an unfortunate accident. This car was a 1968 Chevy Camaro with 565ci BBC and three stages of nitrous. Barry is back with something to prove. Jerry Bird– Bird and his brother, Darryl, come from New Orleans. His crew chief brother and Jerry have been racing together for over 25 years. Collectively this duo is called the Bird Boyz by the other drivers. As one of the greatest teams in No Prep racing, this team is expected to win. The car is called ‘The Probe,’ and it is a 1990 Ford Probe with nitrous. Ryan Taggart– With a 1967 Chevy II Nova wagon called Swampthing, most people would guess that Taggart comes from the bogs and swamps of Mississippi. This unique car comes equipped with a 632 short block with a 4.60 bore and two 250 horsepower fogger kits. Kamikaze Chris– Chris Day started his television career with his longtime best friend Big Chief on the OKC series. He drives a 1980 El Camino with a big block Chevy engine which is nitrous powered. This car is unique in that it was put together without using computer data analysis for testing. Matt Frost– Coming from Colorado, Frost developed a strong love for muscle cars at a young age. His father enjoyed racing so much he regularly would take Matt to the area’s raceways. His 1967 Nova is called ‘The Hulk.’ It has a procharged 572 ci BBC. Brent Austin– Coming from Virginia, Austin blew away the competition to earn $250,000 in just two races. One of these races was the No Prep Kings- Bristol race. He drives a 1969 Camaro called Megalodon. Boddie– Boddie is Jermaine Boddie who is the owner of Team Boddie Racing. He is considered an expert at street and track racing. He drives a big tire 1963 Chevy Nova. Chris Poncia– Chris drives a Vortech V-30 128A supercharged Chevy Nova. He hails from California. His winning race against Birdman at the Galot Motorsports Park in North Carolina slingshot him into NPK fame. Don’t miss out on the Season 3 of NPKs. The live events begin May 3 and 4, 2019 at the Maryland International Raceway in Mechanicsville, Maryland. With new rules and nine stops, this season promises to be the best one yet. Experience a live event or tune in to the Discovery Channel catch all of the NPKs excitement. No Prep, No Excuses: Volume 2!